Avenza Maps for iOS and Android has helped revolutionize the way we use maps on our mobile devices while traveling. The app delivers an impressive level of details and information, while also streamlining navigation in urban settings and remote destinations alike. The software even works when your phone's cellular network is unavailable, making it useful even when traveling off the grid in remote locations. These offline maps, which are downloaded and stored on your mobile device via the free Avenza Maps app, will be appreciated by hikers on trails, bicyclists riding along unknown roads, backpackers in the wilderness, and international travelers visiting new cities. The app uses a mobile device's built-in GPS capabilities to still track movement and current location, all without the need for a connection to a cell network. To download the maps initially, users must first be connected to the Internet either via WiFi or a mobile data connection. But once they're on your device, that connection isn't actually needed to use them. On top of that, once they are installed the maps remain fully interactive, so you can measure distances, plot waypoints, and reference exactly where you are using the phone's build-in GPS functionality. These maps can be extremely helpful under a number of different circumstances. For example, if you're in Paris and want to estimate how long it will take to walk from the Eiffel Tower to the Louvre, turn on your phone's GPS feature, then simply drop a waypoint –– which appear in the form of pins –– on either of those sites. The app can then tell you the distance between those points, making it easy to calculate how long it will take to travel between them. Want to know your exact coordinates or figure out which way is north to help you plot a path? The app can help you figure that out too. It can even record your GPS tracks, which can be useful when retracing your steps back to your starting point. There are a surprising number of Avenza Maps and GeoTIFF files that can be dowloaded from the Internet. Looking for a map of London that lists key attractions and stores? How about one of the Hawaiian Islands as they were first viewed by early explorers? This app has you covered. If you're heading to the Toronto Film Festival, there's even a map pinpointing all of the film venues as well. To find maps, just browse the Azenza map store inside the app itself, or put a specific request in the "search" box. Chances are, you'll be thoroughly surprised by what comes up. The library of what is available is impressively deep, which also makes this app easy to recommend to cartophiles. When looking for specific maps, simply launch the Avenza app. Once logged in you'll find a "store" where users can shop for the maps they are looking for. You'll find maps from all over the globe available for download. In addition to the maps that Avenza loads into the store itself, the app also lets individual cartographers and event planners upload their own creations to the Avenza Map Store as well. There are even topographical charts for the entire U.S. available, which can prove extremely helpful for hikers and backpackers, amongst others. Once you find a map you think you might like, you can get a preview before downloading the full version to your device. This helps to ensure that it actually useful before proceeding, as some of the maps can be quite large and take up a considerable amount of storage space on your phone. The free Avenza Maps app was developed by Avenza Systems, which produces MAPublisher cartographic software for Adobe Illustrator and Geographic Imager geospatial tools for Adobe Photoshop. Because Avenza has the technology to make such detailed geospatial maps in PDF or GeoTIFF files, the company decided it could offer its services to travelers, outdoor enthusiasts, and others who need offline navigation. Most of the maps loaded into the store by Avenza are completely free. Map publishers and individual cartographers who upload their own creations can set their price as well. Those files range from free to just few dollars in most cases. Map Nerds Will Love It! 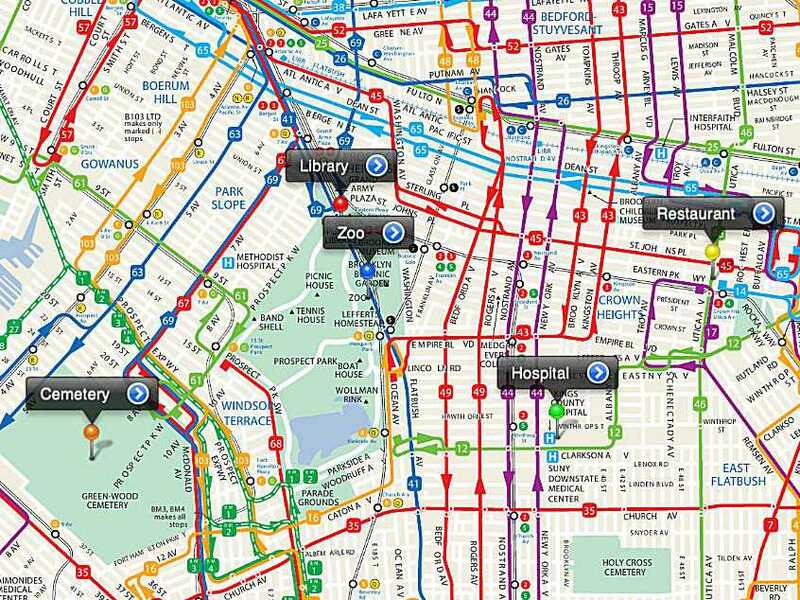 Anyone who loves maps will definitely enjoy this app. It features many ways to explore the world around us, and it includes multiple coordinate systems for tracking locations and plotting courses. You can use it to easily find the exact coordinates of any point on the planet, and it can work in conjunction with Apple Maps or Google Maps to help plot directions to that specific location too. A built-in compass ensures you're always headed in the right direction, which is a handy feature to have when navigating through any environment. To learn more about the Avenza Maps and download the app itself, visit the official website for the software.